Misty Rug - Silver | 6'6" x 9'8"
Other Size and Color Options Petrol | 5'7" x 7'9" Powder | 5'7" x 7'9" Silver | 5'7" x 7'9" Petrol | 6'6" x 9'8" Powder | 6'6" x 9'8"
The Misty Rug by Linie Design is a handmade, hand-knotted, Viscose rug with a soft texture. 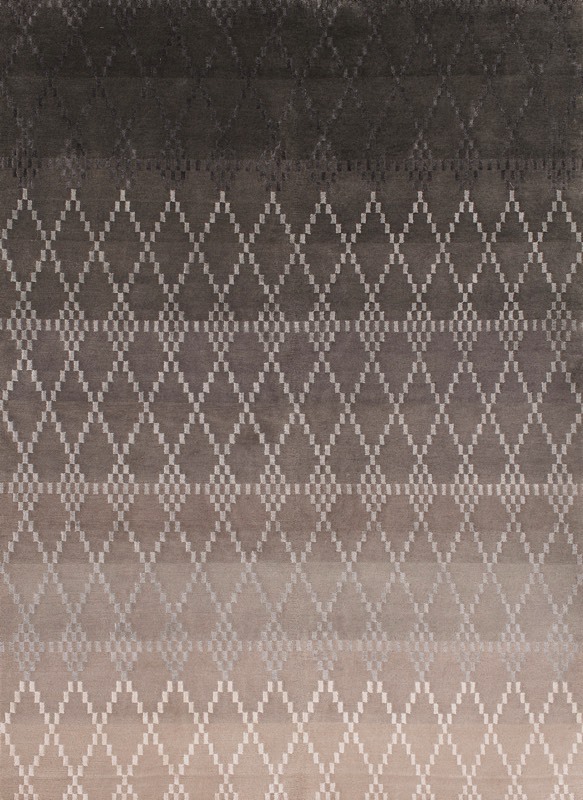 This rug is available in two sizes and in 3 different colors, each with a lighter toned geometric pattern over the entire rug, and a length-wise faded shade of the primary color. Product care includes vacuuming and using mild soap with a damp towel, or steam cleaning at the dry cleaners. Linie Design is a Danish design company founded in 1980. 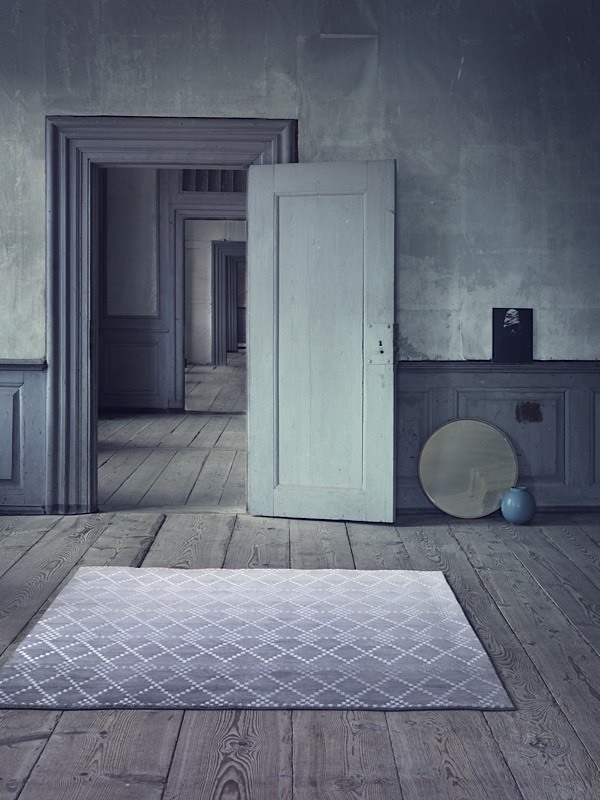 Linie is the largest developer of handmade rugs in Northern Europe. 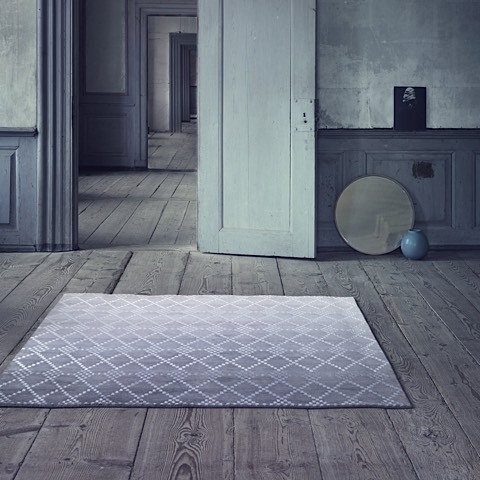 All rugs are designed by acknowledged Scandinavian designers and handmade by Indian master artisans.